Watsonville, CA - The contest page on the Santa Cruz County Fair website is open and ready to accept graphic artwork entries from high school and college students. The students are being given the opportunity of turning this year’s theme “Come See the Berry Best” into a piece of original art. 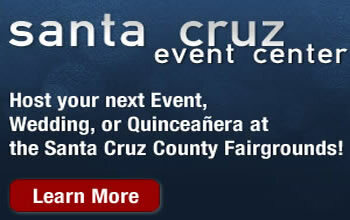 The winning artwork will be used to promote the 2012 Santa Cruz County Fair. Unlike previous years where artists were called upon to create original art, this year images of luscious local berries and the wording for the poster are being supplied. Student graphic artists are invited to work their magic to turn these elements into the finished poster art. Examples of previous posters, entry rules, and the on line submission system can be found at www.santacruzcountyfair.com The winning artist will be awarded $100 and passes to the 2012 Fair. Deadline to enter artwork HAS BEEN EXTENDED to Sunday, March 31, 2012. Questions on the entry process may be directed to Fair marketing director Steve Stagnaro via email to or by calling the fair office at 831-724-5671. The Santa Cruz County Fair celebrates the rich agricultural history of our community and people, and invests heavily in bringing this heritage to our youth. The 2012 Fair will be held September 11-16, 2012 at the Fairgrounds located on Highway 152 just east of Watsonville.